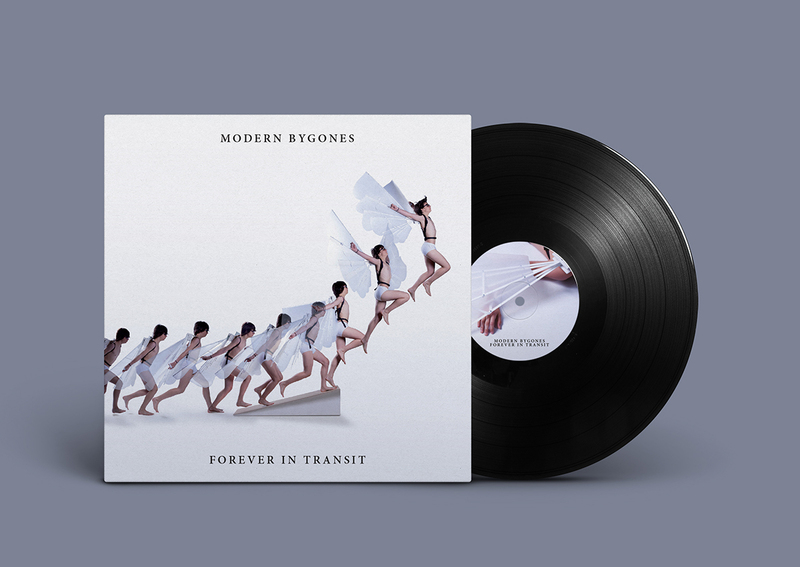 Along with Daniel Normal and Sandra González I had the chance to take part in the design of the new album by the Seattle group Modern Bygones titled Forever in Transit. 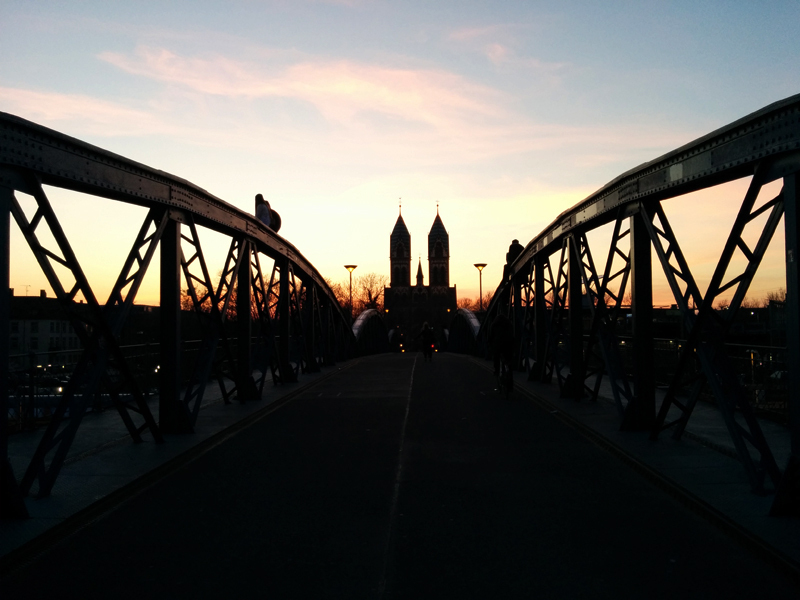 Just some pictures I recently took in Freiburg im Breisgau. 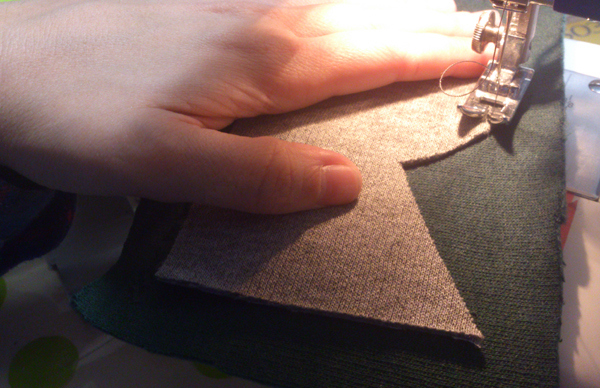 I wonder if we are always aware of all the steps we take from an initial work/idea until the final result. Having in mind that the more complicated a piece of work is, the more steps and hours of work are required, I am going to show in this post all the steps from a sketch to a final appealing look of a simple word like Hi!. 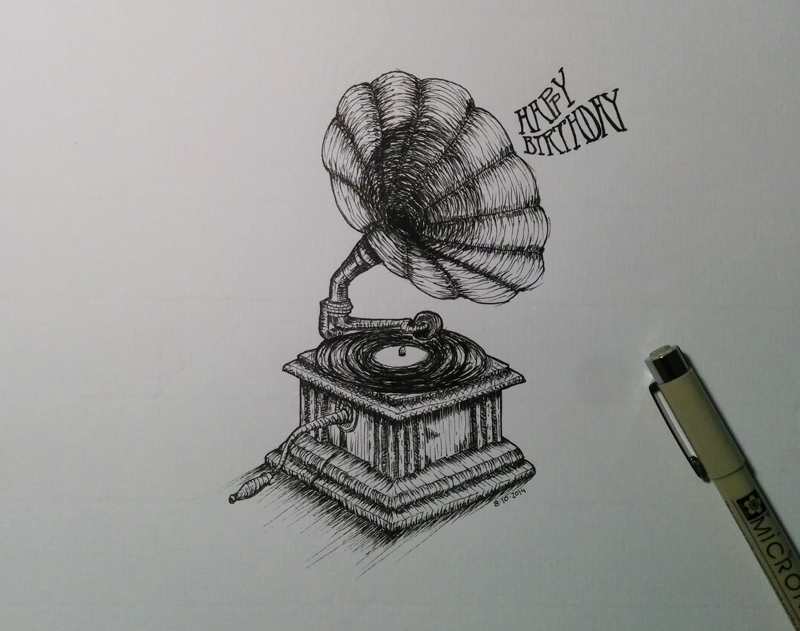 It all starts with a sketch. The level of detail of it will, of course, have an influence on how many steps we will need to take until the final result. In this case, this was a rough sketch and needed some more adjustments. And changed the background and added a shadow on it. 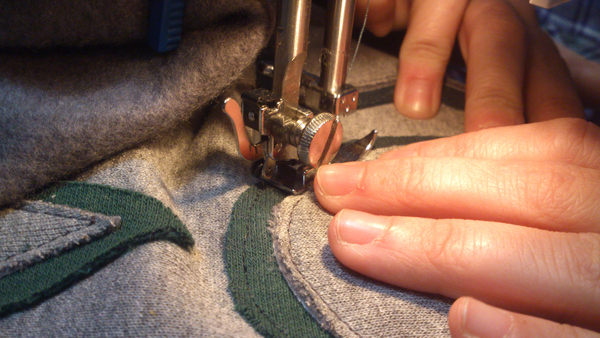 Here is an overview of the process. A couple of days ago, I randomly remembered the sausage shaped toy car that I had when I was a child. I really loved that car, it was weird, funny and badass at the same time. 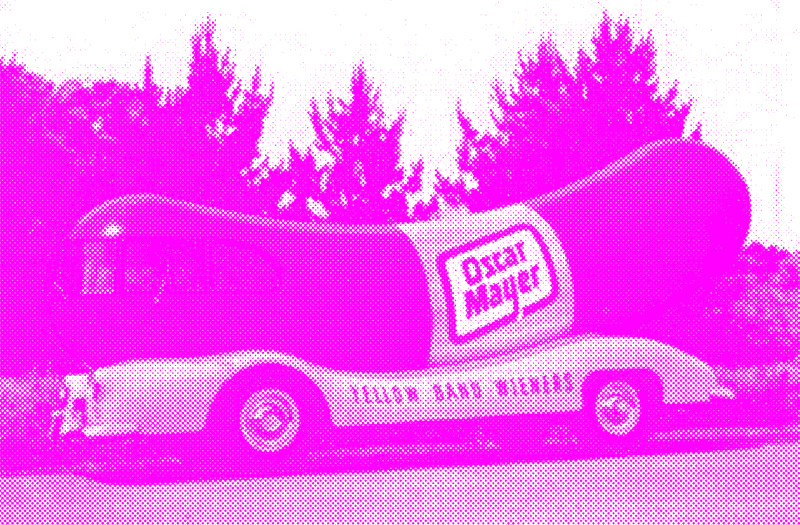 This toy was a promotional gadget from the sausages brand Oscar Mayer. I asked some colleagues who come from different parts of the world and some of them knew which vehicle I meant. The Germans, sons of Land of the Sausage, nevertheless did not know about its existence. I was looking for pictures and I found the following one, which I really liked due to its colors, angle and landscape. But as usual, the resolution of the pic is really low and it is even blurry. I wanted to have a bigger picture with a special feel, so I create a bitmap with a highest output’s resolution for each color (Cyan, Magenta, Yellow and Black) and mixed them to obtain the full color image. 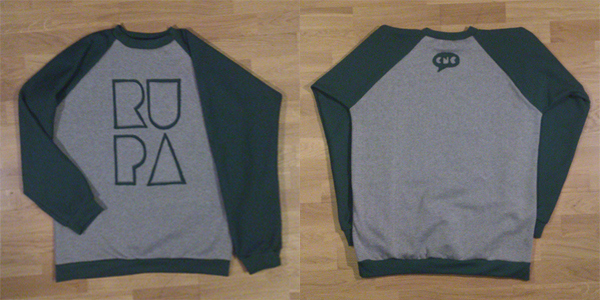 And this is the final and beautiful result. I wanted to know a bit more about this car, and I found out that it has a name; Wienermobile –What a perfect naming exercise. 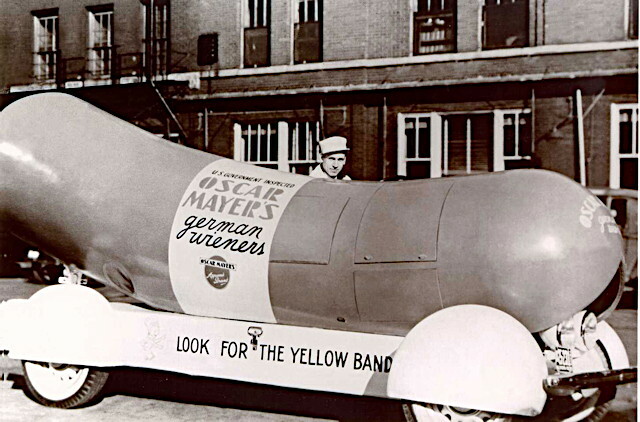 The brand Oscar Mayer was established in 1883 in Chicago, Illinois by the 24 years old German immigrant Oscar Ferdinand Mayer and his brother Gottfried (thanks for not being the eager brother). 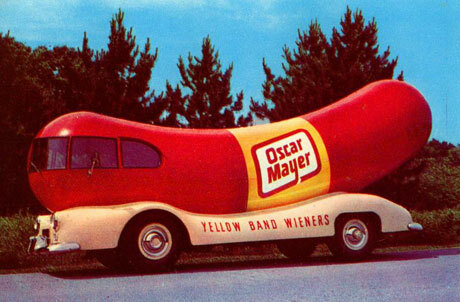 After 53 years, in 1936, Oscar’s nephew Carl Mayer designed the fabulous Wienermobile. The car has been evolving through the years and it is still existing nowadays, after almost 80 years (!!!). What is the deal with this car? It started as a running advertisement. It had all the elements, the product+packaging (sausage+yellow band), the logo and the headline/slogan (look for the yellow band). 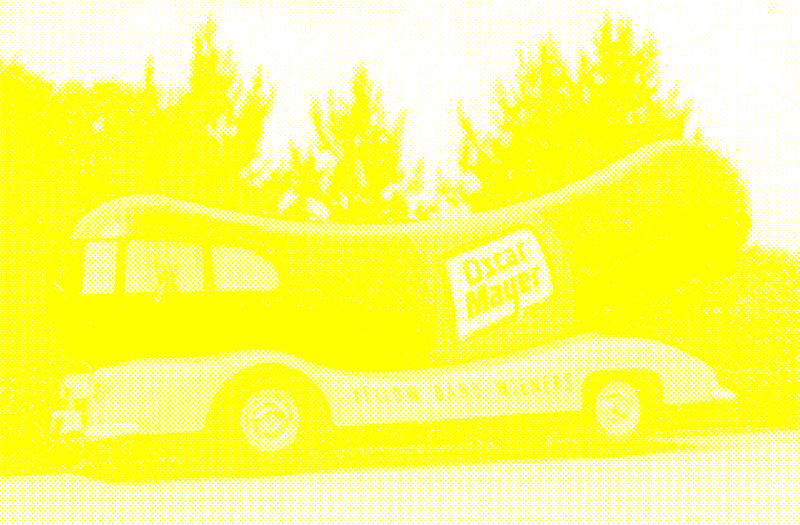 Nowadays, according to Oscar Mayer’s site it is a 27-foot-long (8,2 meters) hot dog on wheels which is running the roads of the United States of America. 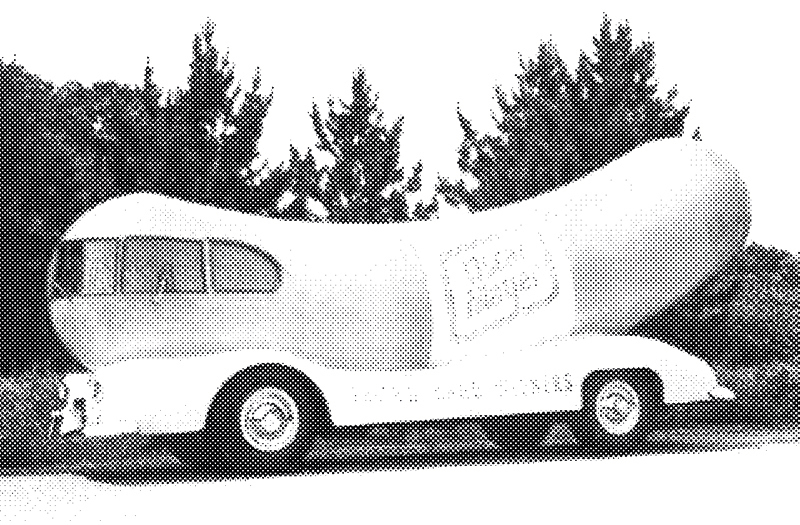 Actually, there are 6 27-foot-long hot dog on wheels patrolling the arteries of this vast country. 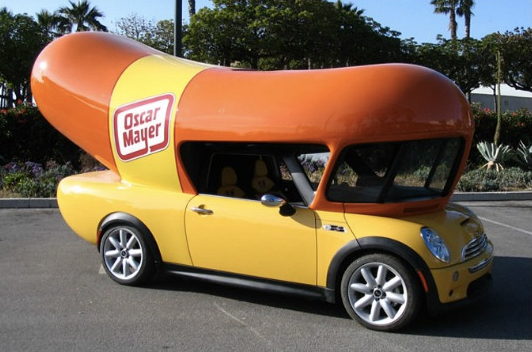 There is also 1 (thanks for that) Mini Wienermobile. The brand has an Instagram account and they post pictures of the cars in the different places as well as pictures of overexcited people who saw one of the vehicles and wanted to capture the so-long-awaited moment. 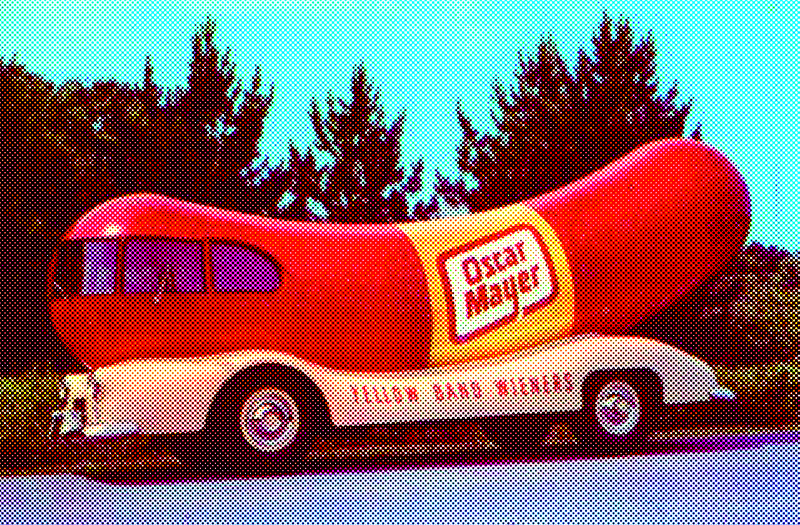 Check out these Hotdoggers with the 1988 #Wienermobile displayed outside the #OscarMayer headquarters in Madison, WI!! That is one "chili dog!" They are also owning a Twitter account to communicate what will their next movements be with a very own language. The #Wienermobile is on its way to Houston, TX! We can't wait to ketchup with y'all! 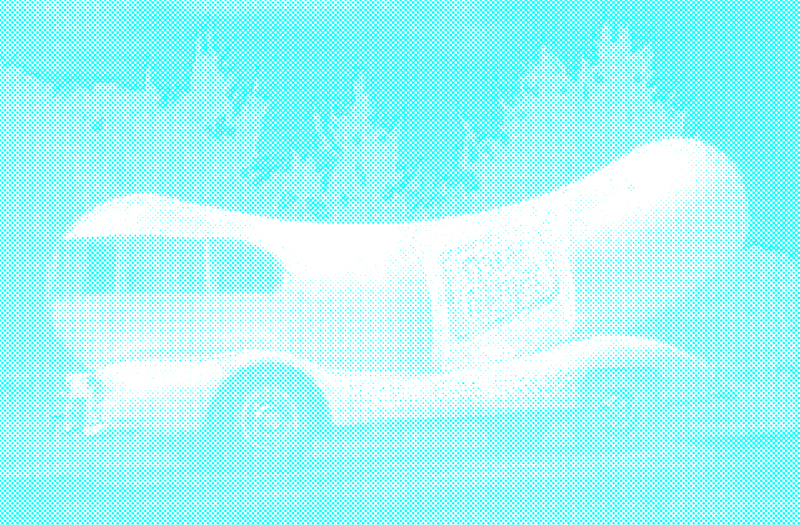 Driving around the country the whole day involves, unfortunately, some dangers, like when a driver (or a friendly Hotdogger, in brand’s words) of one of the Wienermobiles crashed the weird vehicle into a house. Anyway, these friendly Hotdoggers are satisfied employees who are happy to share their experiences with us. You can also see how the Wienermobile’s interior looks like in this video. 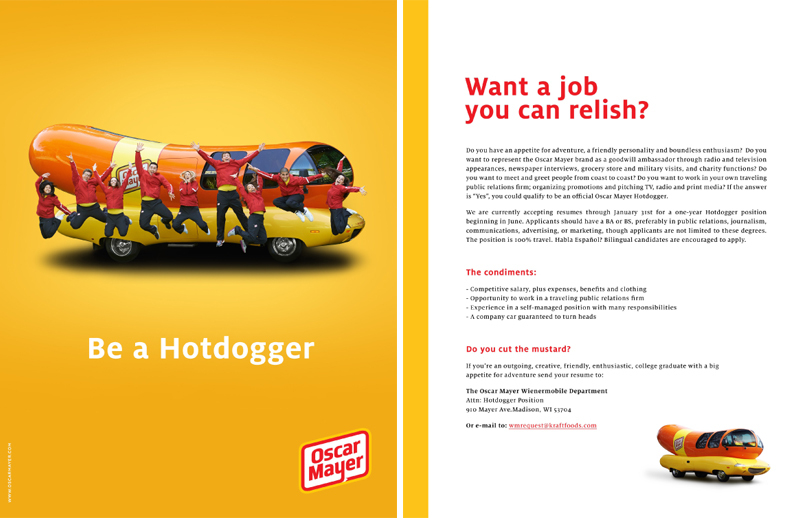 If your passions are driving and sausages, do not hesitate to apply for a Hotdogger job (AKA the coolest job of your life) through the application form! All in all, the Wienermobile is a pretty complete product, it even has a merchandising shop and a smartphone app. 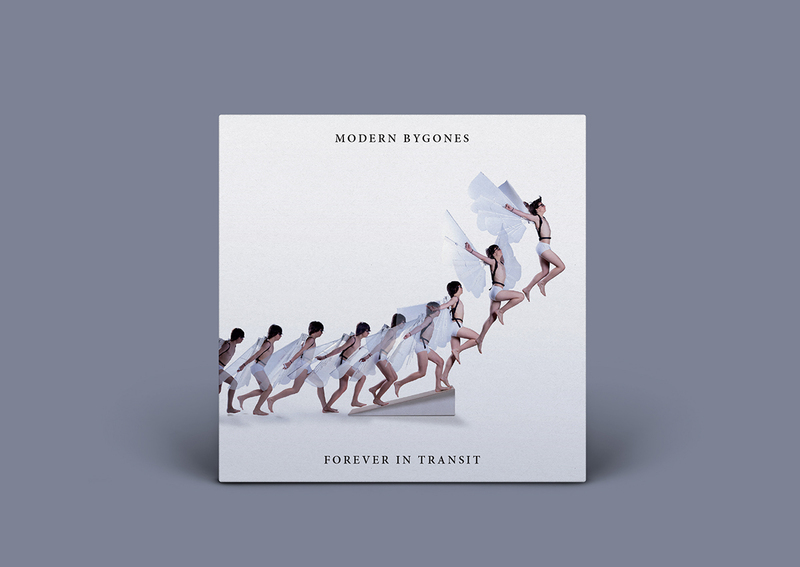 The funny-moving advertisement is an effective way to promote your product, or maybe it is just a blast from the past which is still successful due to its sweetness and innocence. 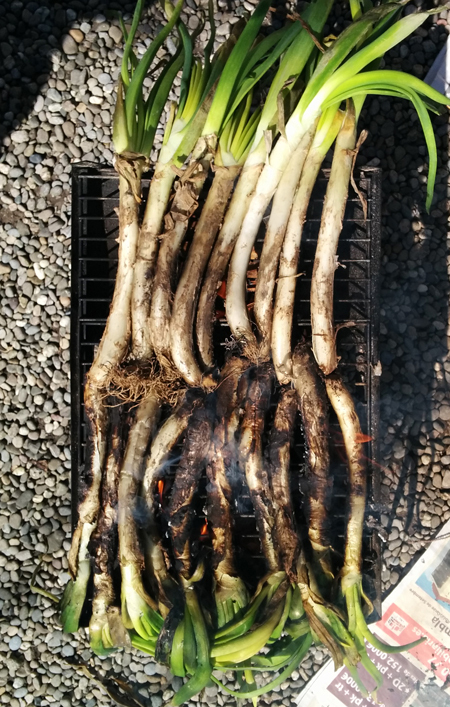 If you know any other example of a ridiculous(ly) successful gadget, feel free to share it! OH! 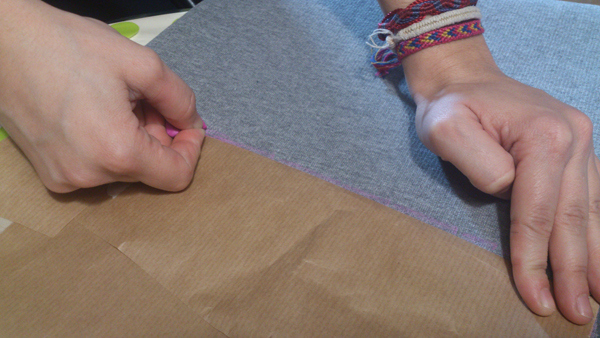 … and do not forget to look for the yellow band! 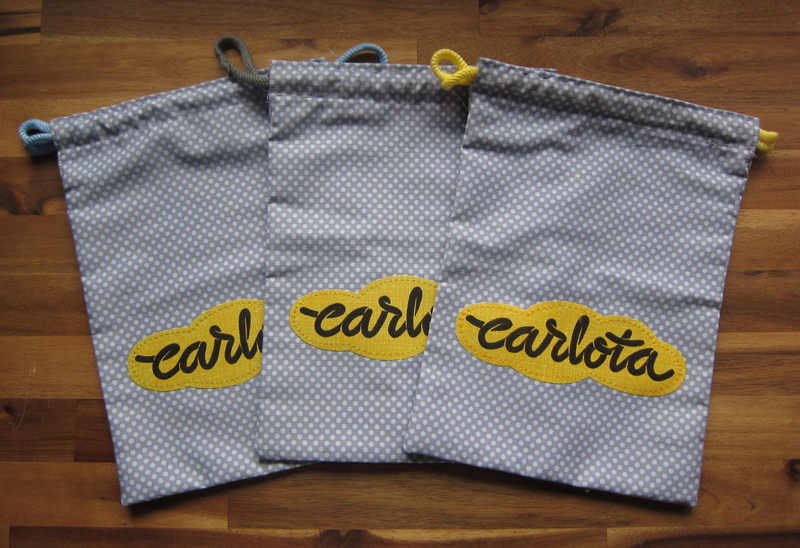 Update: Carlota custom type logo – Fabric bags ready! 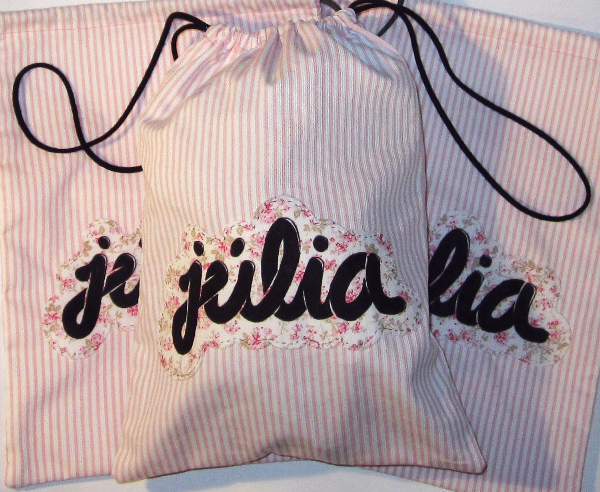 The birth of Carlota is close and my parents got the fabric bags ready. What a creative couple! This is the post where I presented the logo. 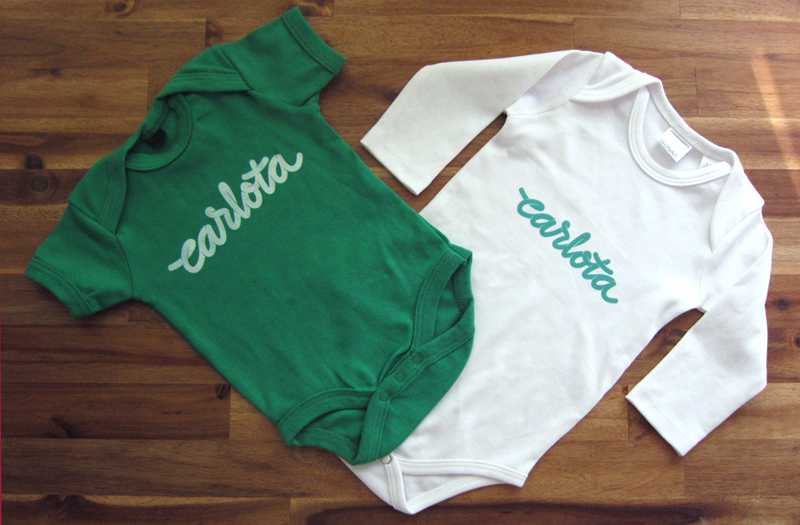 Here are some baby bodies with the logo on it! These are some pictures of ink illustrations I found digging on my phone pictures. 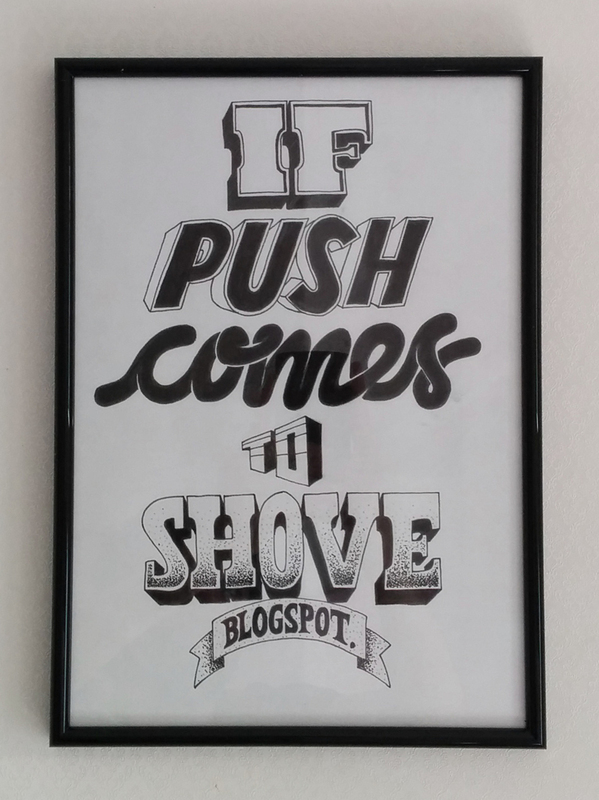 The following is for if push comes to shove, a blog about music, Berlin and more by the Berlin based journalist Corinne Plaga. 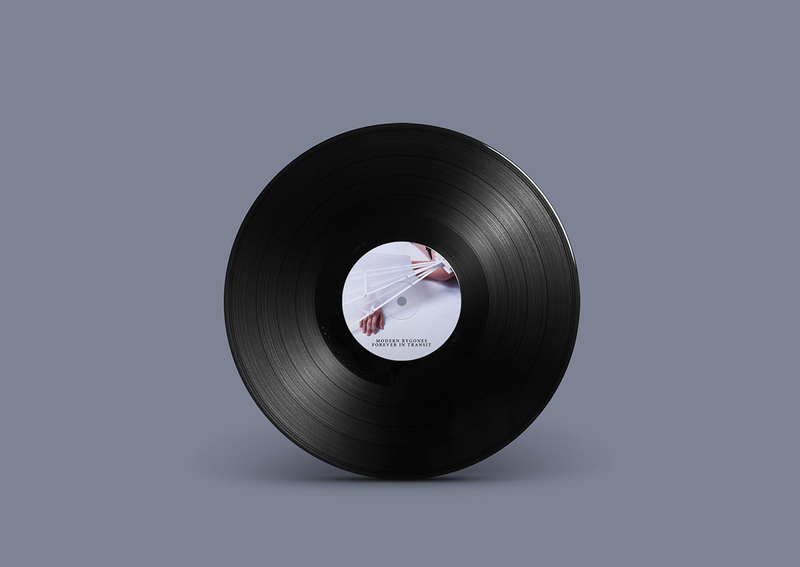 It is a must for any music lover or/and berliner. 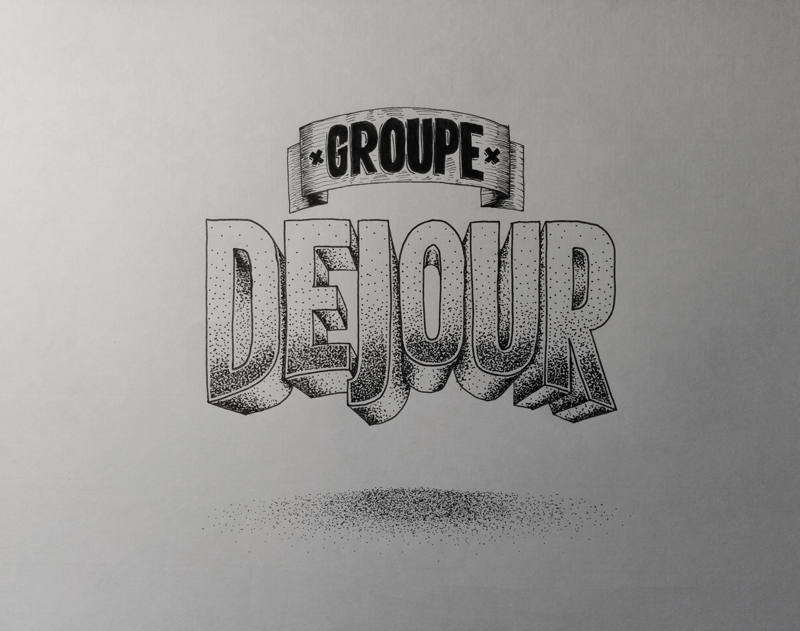 This was a present for the graphic design studio Groupe Dejour. 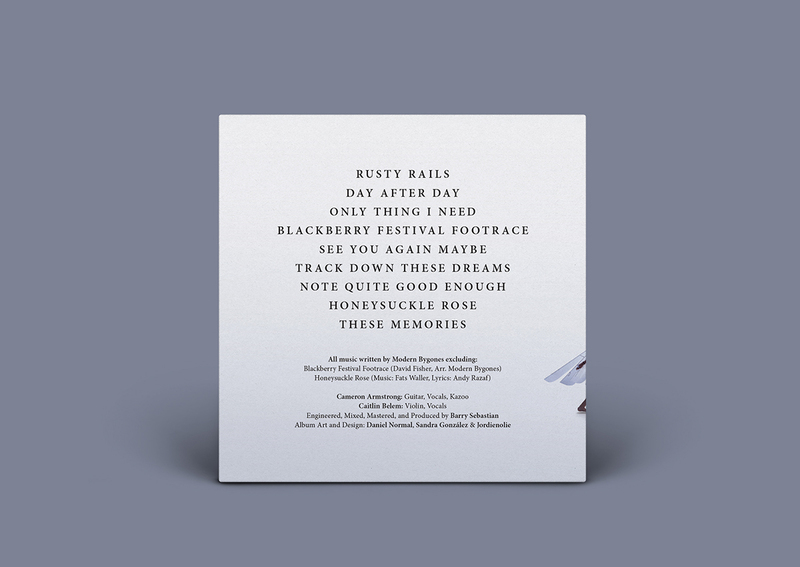 And this is a birthday card-voucher which was worth a record player. 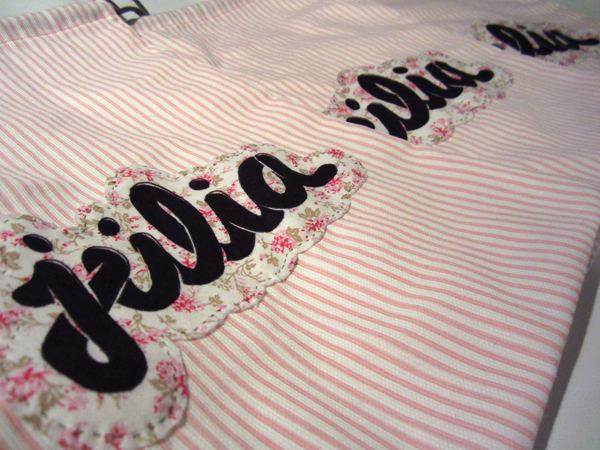 After the Júlia custom type logo for my first niece, I had the chance to design another logo for my second niece, who will be born in 2015. 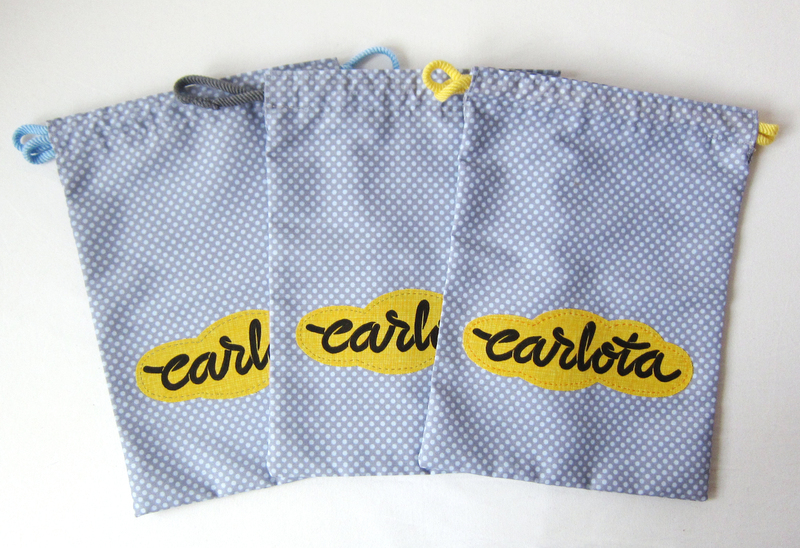 In this case the name is Carlota and her logo will soon be placed on fabric bags too. 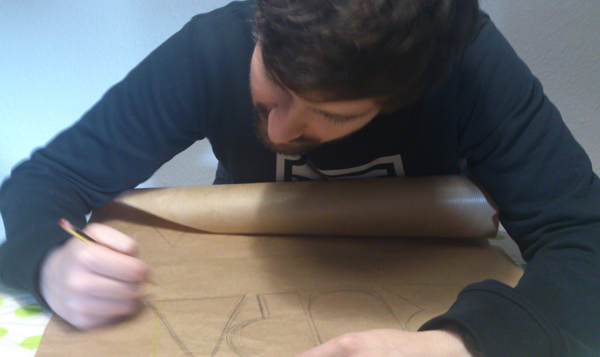 This is the process of design since the very first rough sketch. The letter ‘c’ really needed some tweak. 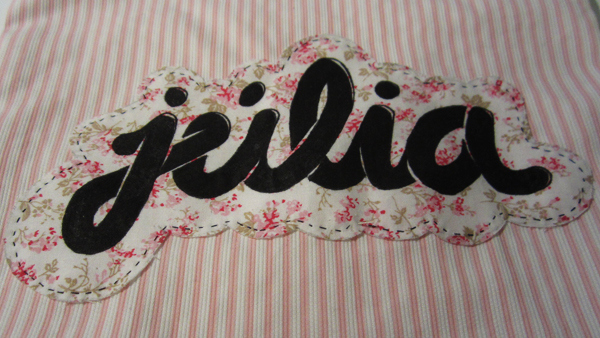 A close up of ‘rlo’, my favorite part due to its flow. Thanks for your attention and Season’s Greetings! 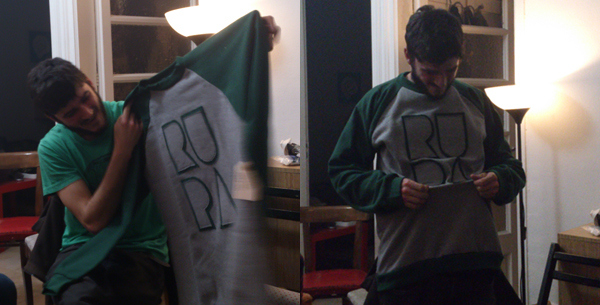 Last December, Marta Diaz and I designed and manufactured a raglan sleeve pullover as a birthday present for our friend Jan Barceló. 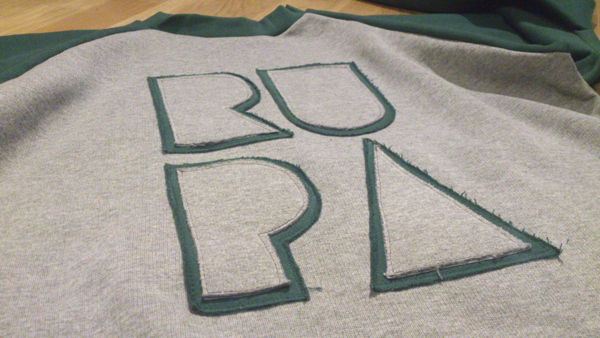 The pullover features the word RUPA, a word which Jan usually writes in his illustrations. Excuse us for the pictures low quality. 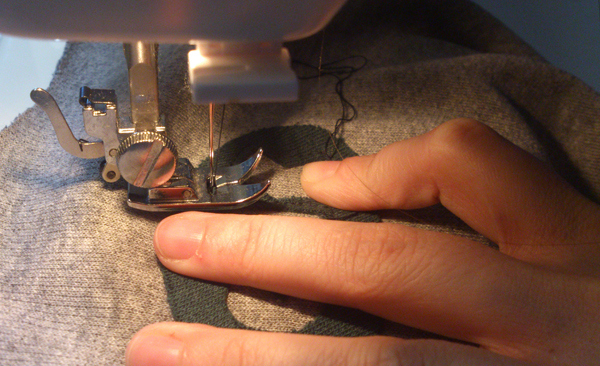 Tracing the differents parts of the pullover onto fabric. 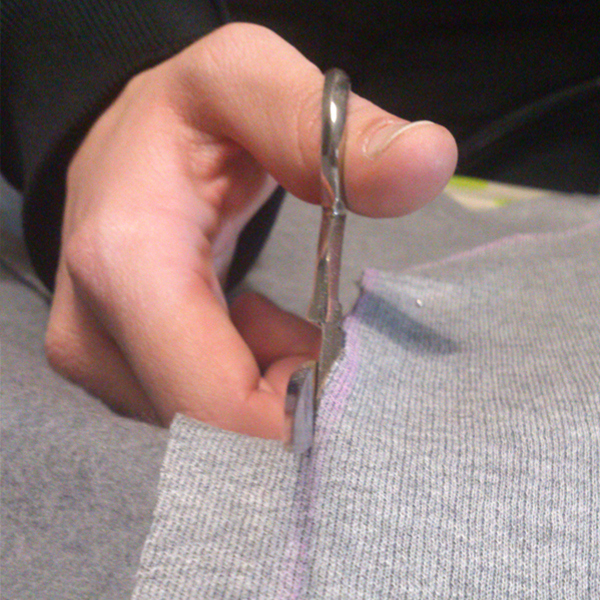 Cutting the different parts out. 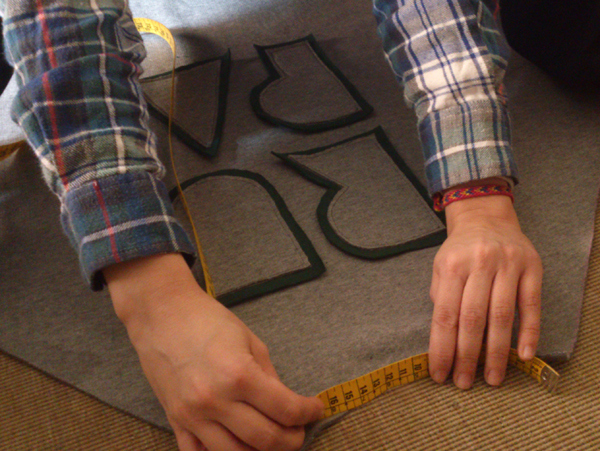 Preparing paper patterns of the letters. 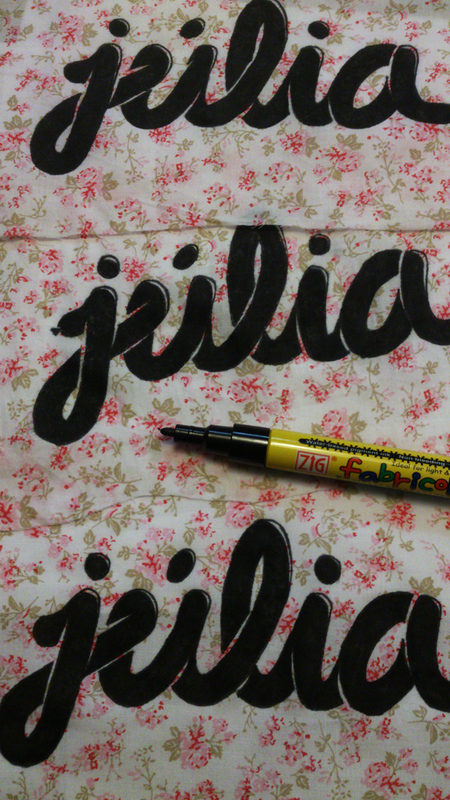 Tracing the letters onto fabric. 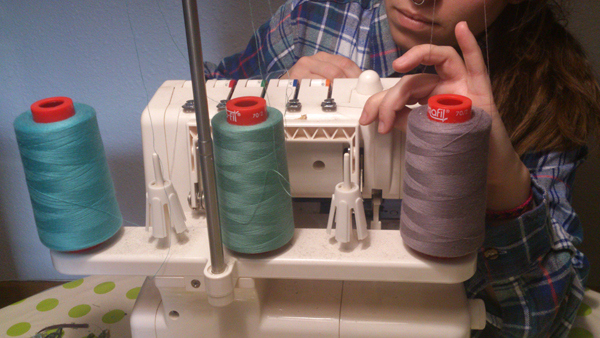 Setting the sewing machines up. 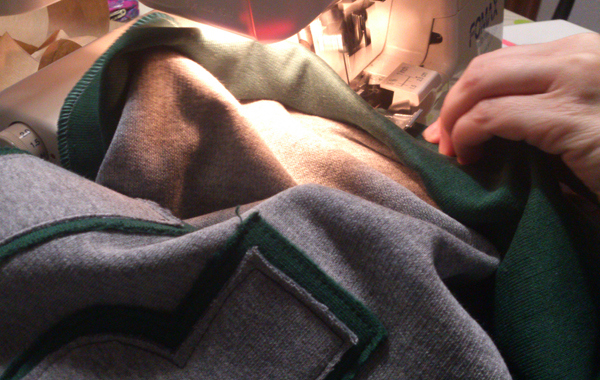 Sewing the different parts of the letters. 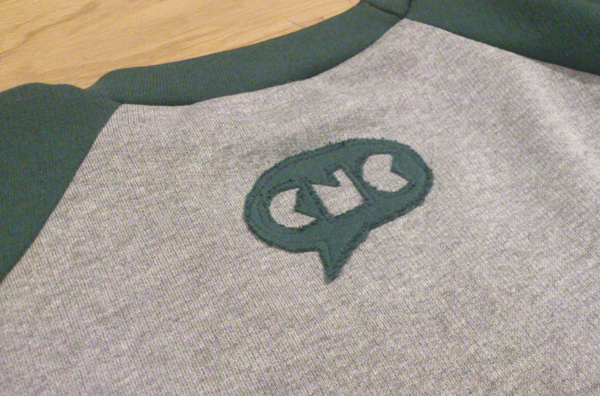 Paper pattern of our brand Cinic logo. Have you ever spent hours and motivation on a proposal and the client rejected it? I assume it happens to everyone, but sometimes, we are specially proud of these black sheep that come out of our creativity farms. 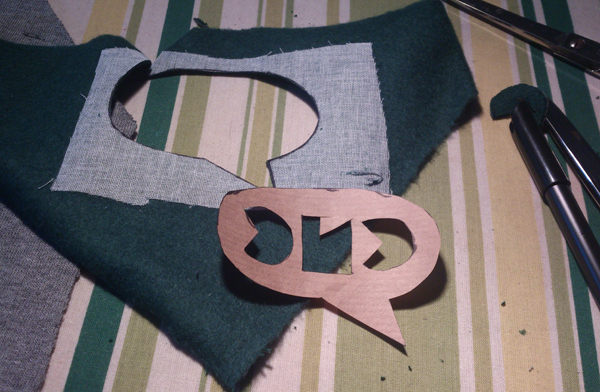 This is the case of the logo I am showing you in this post. 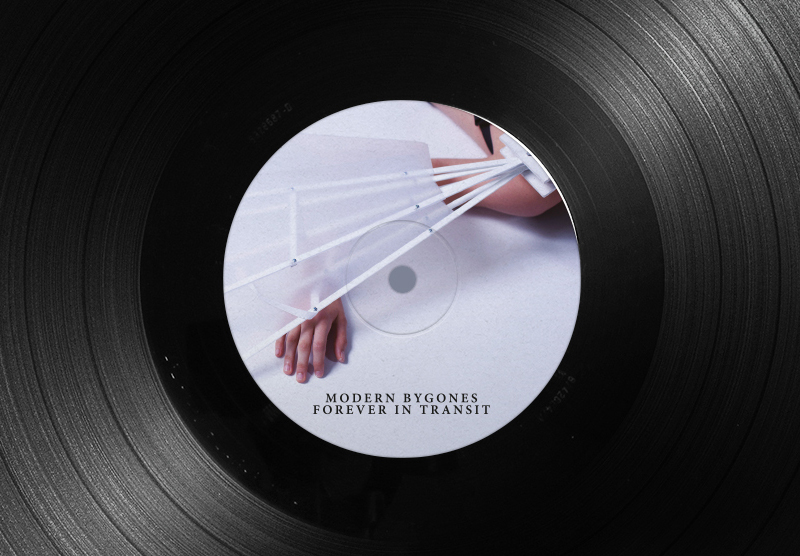 All in all, I was proud of this first approach to the project and well, I still have a special love for it even if it didn’t work out. 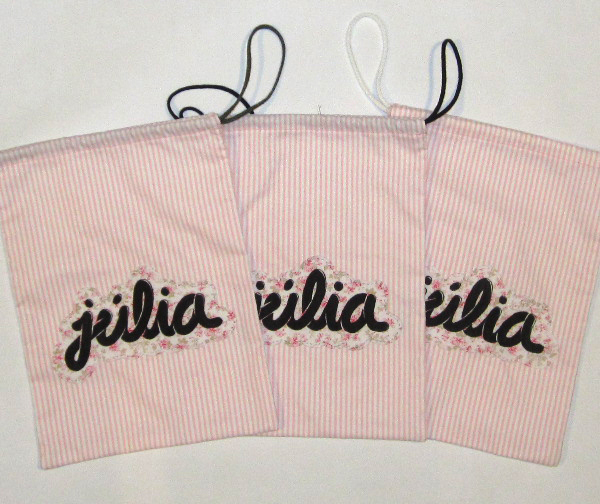 My mother made three fabric bags for her future granddaughter (and my niece) who will be named Júlia. 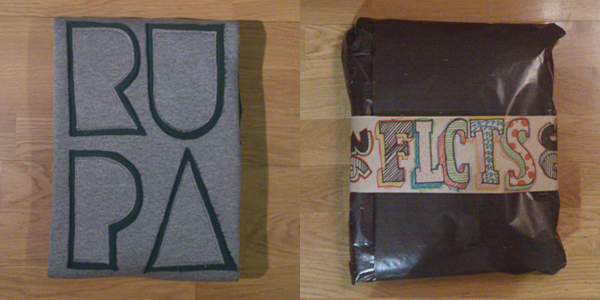 I designed a custom lettering logo and painted it on three pieces of fabric using a marker. 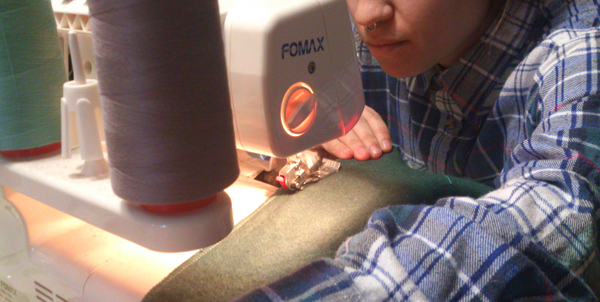 After I cut them she sewed the pieces on the bags.